There are a lot of different ways to make your shaving experience the best that it can be. While upgrading to a higher quality razor and more premium cream will certainly up your shaving game, adding a shaving brush to your routine is one of the best moves that you can make. Shaving brushes are an old tool that’s again becoming rather popular with guys everywhere, and as such, we’ll be showing you how to buy the best shaving brush for the money. If you’ve ever looked around at potential shaving brushes to buy, you’ve likely noticed that they begin to all look the same after a while. While this is a rather easy pitfall to succumb to, it’s important to know that there are factors that set apart quality shaving brushes from ones that are not. We’ve created this shaving brush guide to help you determine what is the best shaving brush for you and your budget. There’s quite a bit of ground we need to cover today, so without further ado, let’s get into things. 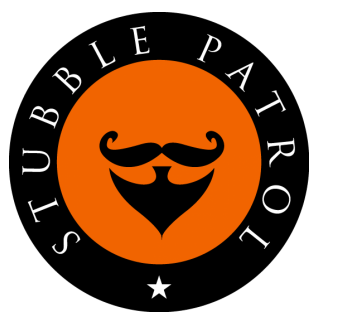 We’ve talked about Miusco’s shaving brush a couple of times here on Stubble Patrol, and that’s because the company’s offering here is simply one of the best ways you can spend your money on a new shaving brush in 2017. Just what makes it such a good purchase though? First of all, Miusco makes its brush with 100% real badger hair. Badger hair is one of the most common furs used for created shaving brushes, and this is because it creates for a very thick and creamy lather when used to apply your shaving cream. The handle of the Miusco brush is made out of real wood, and the feeling in the hand is absolutely fantastic. It’s sturdy, smooth, and all-around extremely comfortable. On top of all this, Miusco also includes a chrome stand that holds both the brush and your razor. The stand is designed to increase air circulation throughout the hairs of the brush, and this allows it to both dry properly and to reduce the amount of bacteria that lives on the bristles. It might just seem like a small freebie at first, but it actually goes a long way to keeping the brush in top-notch shape at all times. If you already have a stand or simply don’t want or need one, you may want to turn your attention over to what Perfecto is offering with its 100% Pure Badger Shaving Brush. Similar to Miusco’s offering, the hairs on the Perfecto brush are made using all-natural badger hairs. The lather that you’ll get out of the Perfecto brush is extremely thick and creamy, and it’s worlds better than what you can do when applying cream with just your hand. Something that we really love about the Perfecto brush is the handle. Although it's made out of wood, it features a fantastic black finish that’s shiny, eye-catching, and ridiculously captivating. You’ll pay about the same price for this as you would for the Miusco brush, and although the bang for your buck ratio isn’t quite as good since Perfecto’s offering doesn’t come with a free stand, this is still money well-spent if you want to get one of the most premium shaving brushes around. C﻿lick here to view Perfecto Pure Badger Shaving Brush on Amazon. Another shaving brush that we’re quick to recommend comes by way of Wowe. Wowe isn’t the most prominent brand around when it comes to men’s grooming products, but that doesn’t mean the company is incapable of creating one hell of a shaving brush. For this particular product, the highlight feature is the handle that’s made out of real bamboo. The feeling of the bamboo is quite a bit different from what you’ll find with other wooden handles on similar products, as it's quite a bit smoother and softer than the rest of the competition. Better yet, thanks to the high quality nature of the bamboo that Wowe is using here, you won’t ever have to worry about the handle splintering. On top of this, you’ve got a brush that features honest to God badger bristles. As per usual, this provides users with a lather so thick and rich that they’ll wonder how they got along this long without a brush to aid them in their shaving ventures. Click here to read more about Wowe Pure Badger Hair Shaving Brush on Amazon. For this next product, we need to talk about the elephant in the room before anything else — it’s extremely expensive. The Parker Safety Razor brush costs considerably more than any of the other brushes on this list, and that will likely turn a lot of people away from it. However, if money is not an object for you, you’ll be hard pressed to find a brush that performs any better than this one. One of the first reasons we love this brush so much is because it’s entirely handmade. The attention to detail for every little part of the product is unlike anything else on the market, and it really makes the increased price very justifiable. Along with this, Parker Safety Razor also used 100% silvertip badger bristles. This is the finest kind of fur around for a shaving brush, and the difference between silvertip badger and other kinds found with more affordable products really is substantial. Add all of this together with a free plastic drip stand to hold the brush when you aren’t using it, and it’s no wonder this brush frequently pops up when looking at a review of the top shaving brushes in 2017. Click here to read more about Parker Safety Razor Shaving Brush on Amazon. Going to the complete opposite end of the spectrum, let’s say that you’re a guy who wants to get his hands on a quality brush without breaking the bank. It's possible to go too cheap when looking for a brush that’s worth using, so trying to find a good blend of usefulness and affordability can sometimes be a challenge here. Thankfully, this doesn’t have to be the case with Omega Professional’s Boar Bristle Shaving Brush. In addition to the very low cost, one of the biggest changes to the Omega Professional brush, compared to the rest of the products mentioned on this list, is the type of hair that’s used for the bristles. Omega Professional opted for boar hair as opposed to badger hair, and this makes the product quite a bit taller and bristlier. As for the actual experience of using it, the end result is surprisingly great. We were able to get consistently thick and comfortable lathers when using Omega Professional’s brush, and never did come across any real complaints. For as cheap as this thing is, that’s pretty darn fantastic. Shopping around for the best shaving brush for the money can often appear a bit difficult at first, but with this guide at your hand, it doesn’t need to be. There are lots of great brushes out there no matter what your budget is, and whether you need to be as frugal as possible or have heaps of dollars to throw to the wind, there’s a brush on this list with your name on it.